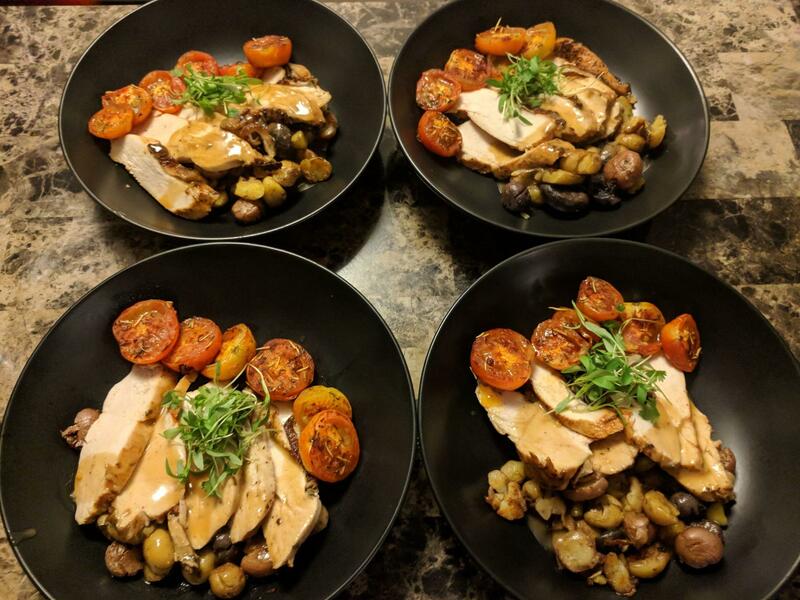 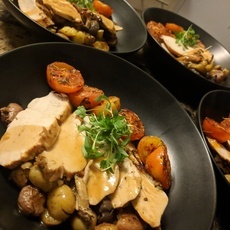 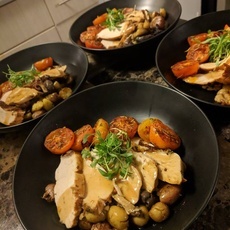 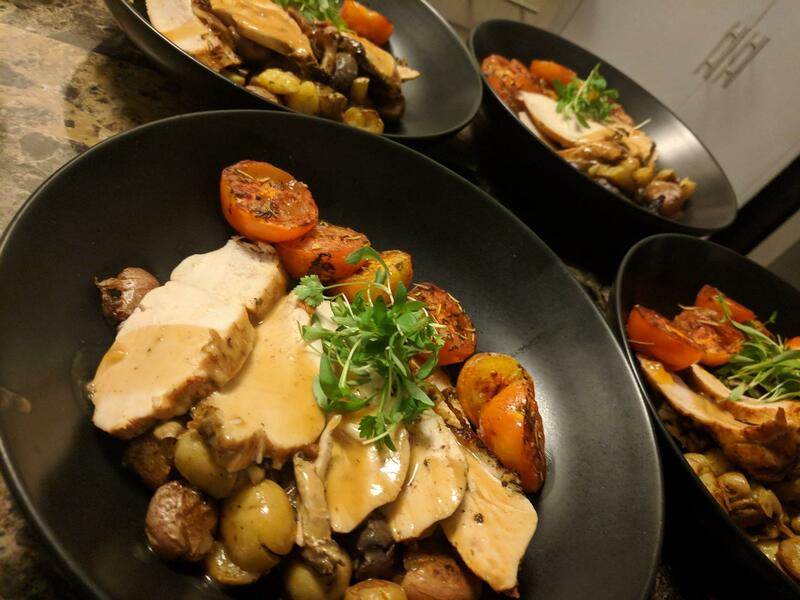 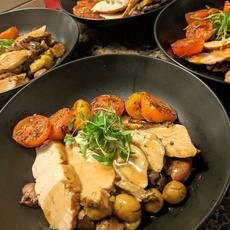 Roast chicken with herb fried butterball potatoes paired with roasted tomatoes and a hardy pan gravy. 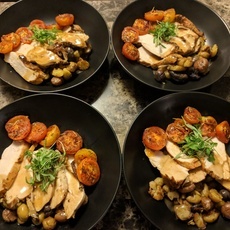 The Chicken had been in an herb brine for 12 hours prior to being seared and baked in a well seasoned cast iron. 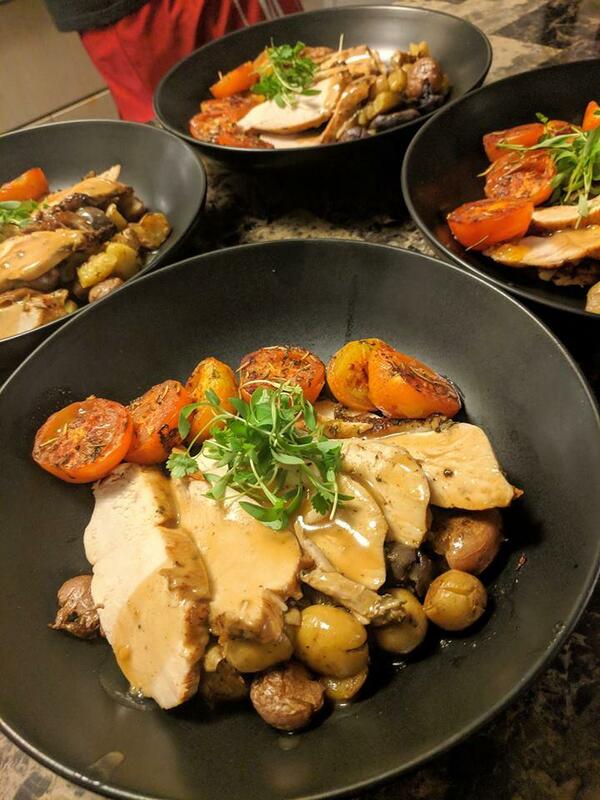 The gravy beng made from the fond left in the cast Iron. 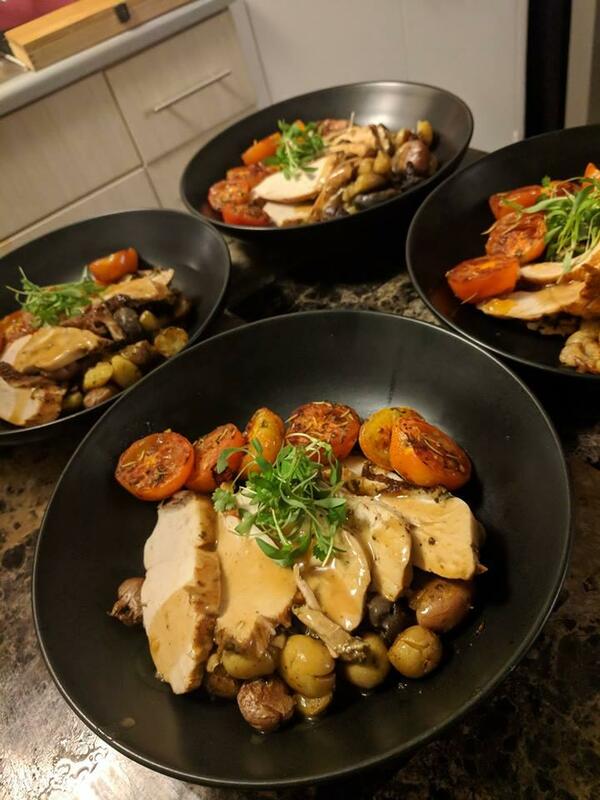 Quiet the meal to remember.